Pain on the outside of the foot is a common problem. The pain may be on the inner side of the foot (medial foot pain) or on the outer side (lateral foot pain). Symptoms may have come on gradually over time, or developed suddenly with an injury. 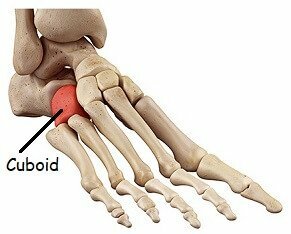 Thinking about the location and onset of side foot pain can give us a good indication of what the problem is. So let's have a look at the most common causes of pain on the side of the foot. 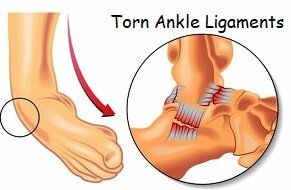 Ligament tears account for 85% of all ankle injuries and are the most common cause of pain on the outside of the foot. Cuboid bone shifts out of position, subluxes. Often goes undiagnosed causing ongoing pain. 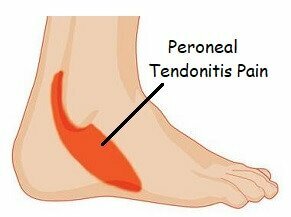 Repetitive tension through the peroneal tendons causes inflammation & degeneration. 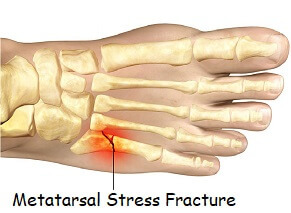 Small break in one of the foot bones that if left untreated can cause long-term problems. So as you can see there are lots of possible causes of pain on the side of the foot. Treatment: Once the doctor has identified what is causing the pain on the outside of your foot, they will advise you on appropriate treatment e.g. exercises, physiotherapy, orthotics or rest. If you have injured your foot, have severe pain, are unable to walk, have lost sensation in your foot, or your foot has changed colour, see your doctor immediately. Generally, the best place to start is with RICE - a combination of resting from aggravating activities, regularly applying ice, wearing a compression bandage to reduce swelling and support the foot and elevating the leg to help reduce swelling. After a few days, any swelling should have started to go down and in most cases you can start some gentle foot and ankle exercises. This helps you to regain the full range of movement and strength, aids healing by bringing fresh nutrients to the injured area and puts the right stresses and strains through the soft tissues so that they heal fully in the correct position. 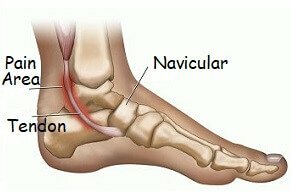 You can find out more about specific treatment techniques for each of the different causes of pain on outside of foot by reading the full articles mentioned above. If you are having trouble working out what is causing the pain on the outside of your foot, or your foot pain is more widespread, visit the foot pain diagnosis section for help working out what is going wrong. If you want to find out more about treatment options, including the best exercises to regain strength and function, visit the foot pain treatment section. Don't let pain on the side of your foot get you down, take back control today.